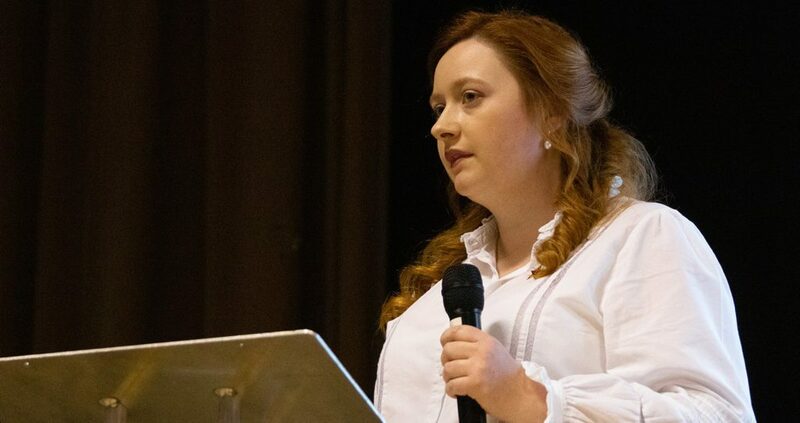 24-year-old ecologist Roisin McLaren has been elected national co-spokesperson of the Scottish Socialist Party and joins Colin Fox in the role which is shared on a gender-balanced basis. Here she sets out her ideas. ‘Things can only get better”. The song echoed in my mind as the first news item I can remember. It was 1997, I’m not yet three, sitting at my granny’s feet, watching the news at six. I liked the man, he smiled, but most of all I liked the song. I would sing it to myself: “Things can only get better”. Growing up in our council house in Knightsridge, Livingston, on a street in the lowest 5% of Scottish Index of Multiple Deprivation, I began to wonder if that hopeful message might have been a deception. Better, aye, but for who? It’s 2007, I’m now 12 and once again watching the news at six: “Queues outside Northern Rock”. I didn’t realise I was watching the Blairite promise crumble or that my generation would enter our teens and our adulthood under the cloud of austerity. “Things can only get better” was true for some under Labour. The richest 1% increased their wealth by 6% on average each year. Since my great-grandfather, shale miner John Sweeny, joined the Independent Labour Party [ILP] in the twenties, we’ve been a family of party organisers, trade unionists and socialist activists. By the time I was 12, the family had moved back to West Calder where I was taught two lessons – the power of collective strength and the great untapped potential of working-class people. Every day I walked past the village clock embossed with the emblem of the West Calder Co-Operative Society – two joined hands and the maxim “we strive and we rise”. I learned that together, we can build a better world. 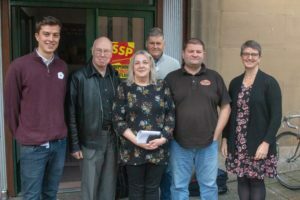 The SSP was formed in 1998 as the party which stands for an independent socialist Scotland, a modern democratic republic and proudly inherits the tradition of John Maclean and James Connolly. 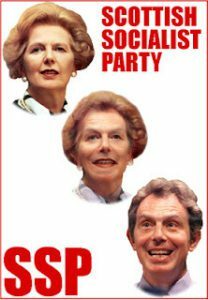 The party is four years younger than me but it has crammed a lot into those two decades: the abolition of poindings and warrant sales, the abolition of NHS prescription charges, solidarity in countless workers and community struggles. The SSP is also a founding member of both the Scottish Independence Convention and ‘Yes Scotland’. Throughout the independence referendum, the SSP stood strong for a Yes vote. 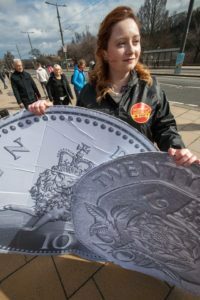 At the same time the SSP successfully campaigned to persuade the TUC to adopt the policy of a £10 an hour minimum wage, a minimum 16-hour week and to abolish zero-hour contracts. It’s a history to be proud of but now I look to the future. As co-spokesperson, my role is to work alongside Colin Fox and present the SSP’s policies to the public. Of particular interest to readers of The National is the SSP’s promise to step up our support for Scottish independence. Representatives of the pro-independence Left at the SSP national conference. Since 2014 there have been many different arguments on how we move forward as the Yes movement. And if we’re honest we all know the independence movement has not made much progress in convincing the other 55% that independence is beneficial. It’s been argued that we should concentrate on calling for independence and leave all other politics until later – but that would be a mistake. 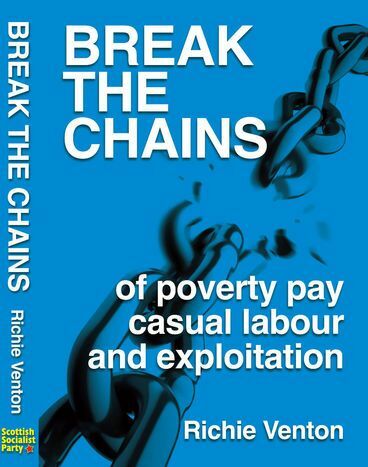 The struggle for independence cannot be separated from its wider social-economic context. Constitutional questions, currency choices, trade deals – these are not value neutral issues. Decisions made during negotiations which would form the beginning of an independent Scotland, would affect the political, economic and social landscape. As an ecologist I also think that socialist solutions, such as free public transport and an extension of public ownership to develop well-paid jobs in green technology must become central to the vision offered by socialists. Expert opinion has given us a dire warning that we have 12 years to save the planet and it is abundantly clear that this cannot be done by the profit system which created the mess in the first place. If we are to achieve that then we must take seriously the political context the independence cause sits within. That’s what the SSP is doing when we robustly criticise the Sustainable Growth Commission for trying to appease Scotland’s bankers and neo-liberal corporations. Scottish independence is about transforming the socio-economic circumstances we live in to the benefit of working-class people. It is about changing Scotland into a country which meets the needs of everyone who lives here. 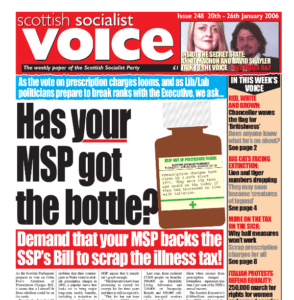 If you wish to build an independent socialist Scotland, a modern democratic republic, that is what the SSP pledges campaigns for, and I hope that’s you will join us in helping to build it. This article was previously published in the 14th November edition of The National.